I asked Mr S to make me a blanket box mesh, this is the result of a team project. Mr S made the mesh and I recoloured it. 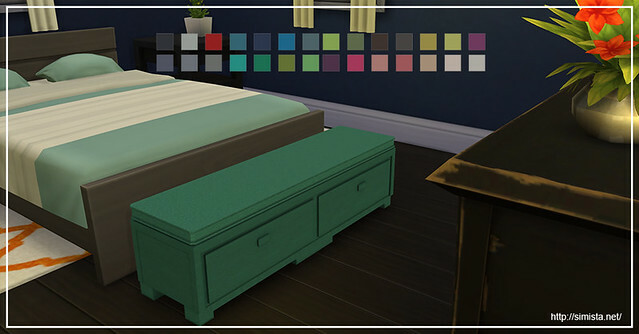 I tried to match it to maxis colours already existing and I added a few extras. Mesh by Mr S recolours by me.